I didn’t get a chance to post on Day 5. The day ran away from me. I did manage to get through Day 5 fairly easily until dinnertime when I made rice for my husband and my son. That was the only point at which I has an impulse to jump ship. I don’t know what this thing is I have with rice. But I was able to resist the impulse last night. So I made it through Day 5. This is the morning of Day 6. Hopefully I will get to write a separate post for Day 6. Yesterday was a fairly good day. I drank tea and water and kept hunger at bay with nut butters (almond and cashew). In connection with another of my websites I’m on another 30 day mission. This one is a mission to start living a more fulfilling life. For that project I decided yesterday to try my hand at making a mango coconut dairy-free ice cream. So I spent a bit of my day at that project. It was nice to take a break away from the routine of sitting at my computer managing blogs all day. For my efforts at making the mango coconut dairy-free ice cream I got to treat myself to a decent tasting frozen dessert. It wasn’t ice cream and there was no coconut to be tasted. 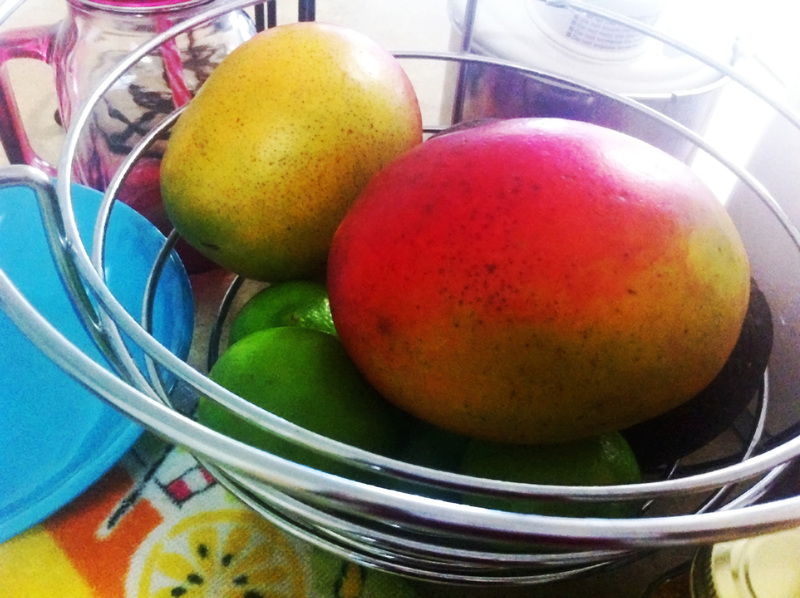 It was all mango. It came out more like a smoothie that had been left in the freezer for a bit. I didn’t take a picture of the finished dessert. But I did take pictures of the process. And at the end of the day that’s where the important part of the experience lies. It wasn’t about getting a great picture of my dairy free mango coconut ice cream. It was about taking some time out of my day to do something creative and enjoyable. To spend some quality time with myself. 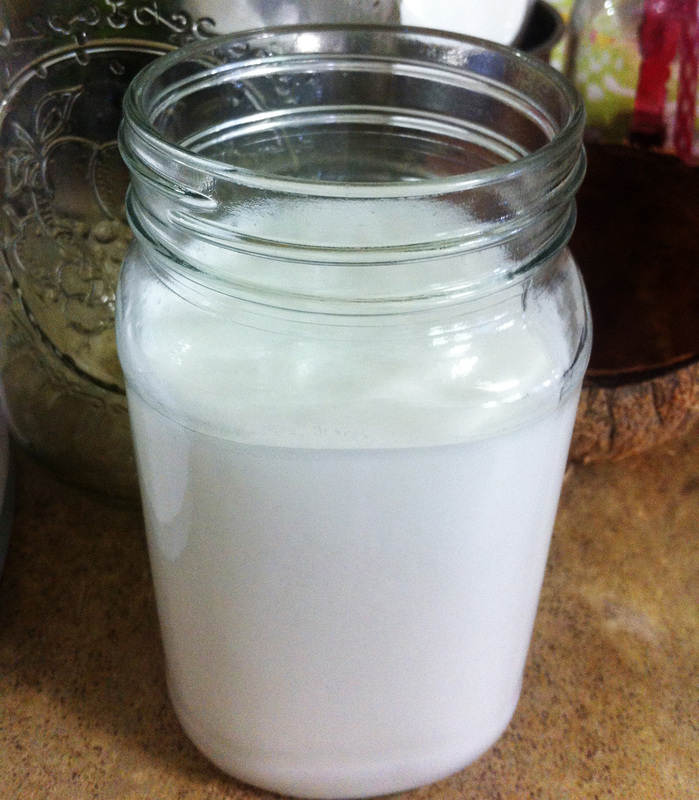 Some coconut milk that I made from scratch. This tasted great by comparison to the coconut milk I usually buy at the supermarket. It’s interesting how much richer and purer and better these things taste when you make them yourself. 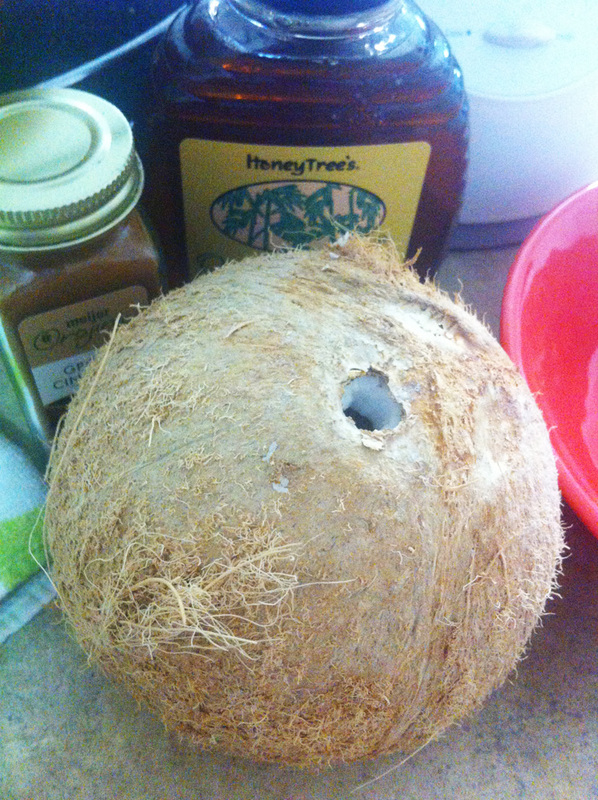 The coconut before I cracked it open and turned it into coconut milk. It didn’t produce much milk. 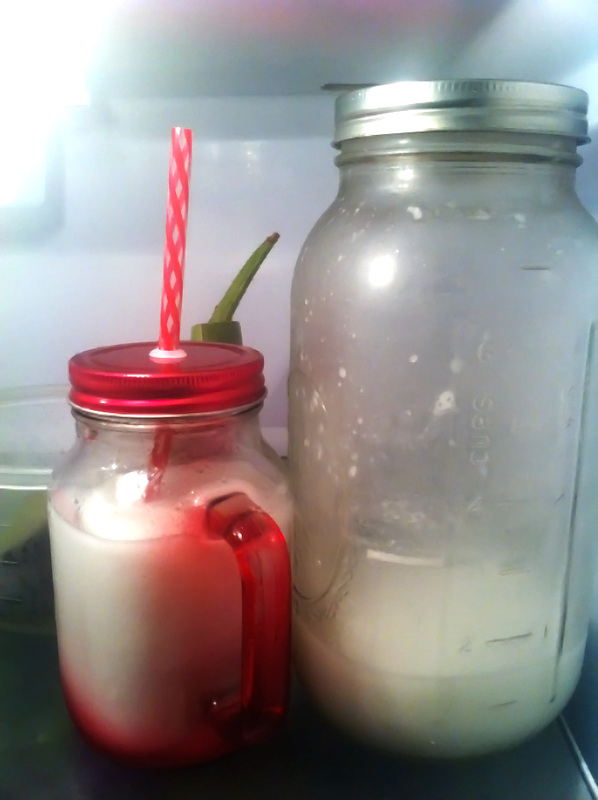 But I did return the pulp to the blender to make a second bottle which I am using today. I had most of it for breakfast with just a little sweetener added. The second batch of coconut milk. It was a bit watered down. I’d say this watered down version tastes more like the coconut milk I buy at the supermarket. Like I said today is actually day 6. So far so good with the solids avoidance. I haven’t had any impulses to battle yet. I will try to write a Day 6 update later in the day. Hopefully I will be able to get some things done. Wishing everyone a successful Saturday.